Hemp tea is becoming increasingly popular as a refreshing and easy method of taking cannabidiol (CBD). CBD is one of the most beneficial cannabinoids found in the hemp plant. Hemp tea is a good option if you don’t like other methods of taking CBD health supplements. Hemp tea has been in use for centuries in many parts of the world. In ancient India, it was used to make a refreshing welcome brew for guests. 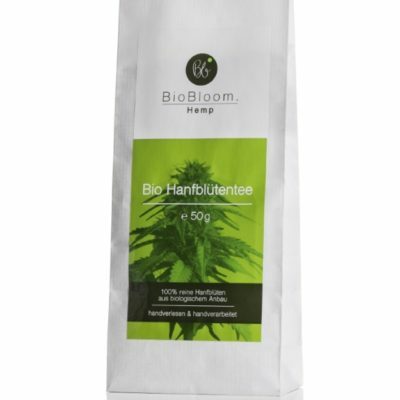 Hemp tea is available in both powder form and as teabags in the UK. Although there are many types of hemp tea, the best products are made from dried hemp flowers. Hemp tea contains CBD and traces of other beneficial cannabinoids. 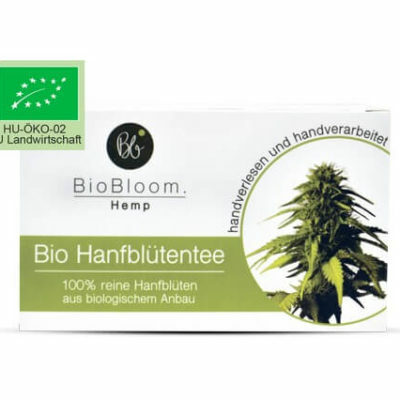 It is made from hemp that has a CBD concentration of about 2%. In appearance, it is similar to green tea. The only difference is that dried parts of the hemp plant are used instead of tea leaves. The THC (Tetrahydrocannabinol) content in these products is less than 0.2%. THC is psychoactive and is mainly responsible for the intoxicating effects of marijuana. However, the trace THC content in hemp tea causes no intoxicating effects. Hemp tea, like any other commercially available CBD product, is a health supplement. Apart from CBD and other cannabinoids, hemp tea also contains flavonoids: apigenin, luteolin, orientin, quercetin, kaempferol and vitexin. These flavonoids are found in a number of commonly used vegetables, fruits and other plant products. Both CBD and the flavonoids present in hemp are antioxidants. Drinking CBD hemp tea is beneficial to health. It has a calming effect and helps improve the health of the immune system. CBD also improves the health of the ECS, the body’s natural cannabinoid system. CBD hemp tea is a healthy and tasty drink for the entire family. Hemp tea is prepared just like green tea, but needs some amount of added fat. CBD, in its natural form, is not very water soluble. A little bit of fat helps bind the CBD and ensures that you get the maximum benefit. A dash of milk, coconut oil or a small amount of butter will do the job nicely. Coconut oil also reduces the bitterness of the beverage. 1. Place a teaspoon of hemp tea or a teabag in a cup. If you prefer your tea with milk, you can add a little milk to the cup. If you are not adding milk, you should add half a teaspoon of coconut oil or unsalted butter according to your preference. If you are using butter, soften it in the microwave before adding it. 3. Allow it to infuse for two to five minutes to obtain the desired strength. The tea will turn greenish as it steeps. 4. Squeeze the tea bag and remove it from the cup. If you are using tea powder, you have to strain the mixture. Tea bags are more convenient. 5. Hemp tea tastes good as it is, but you can add sugar or lemon if needed. Your tea is now ready. There are different qualities of hemp tea. 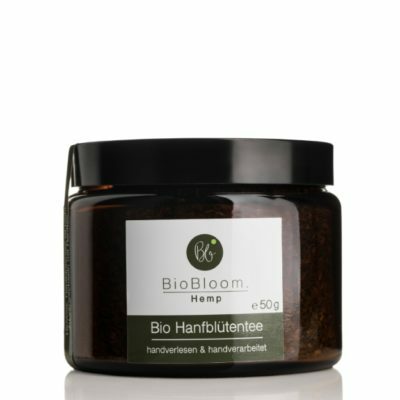 Organic and hand-produced hemp tea products made from naturally dried flowers of hemp plants are the best. They are superior to products produced using other parts of the plant or a mixture of various parts of the plant. Drink hemp tea to improve and maintain your health. It’s a tasty and refreshing health supplement that is easy to prepare and drink.